Cody Younger is a third generation seed farmer living and working with his family in the heart of Oregon’s Willamette Valley. 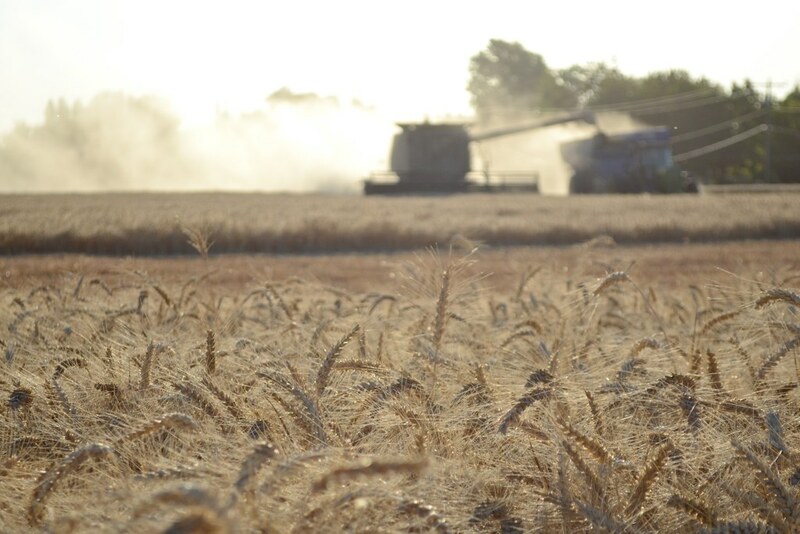 We joined him for the closing hours of day two in a three-day wheat harvest. Cody, his dad, Norm Younger, and his grandfather (now retired) own wide swaths of ground in and around Shedd, Oregon where they grow seven different seed crops: turnips, meadowfoam, fescue, annual ryegrass, perennial ryegrass, wheat, and clover. 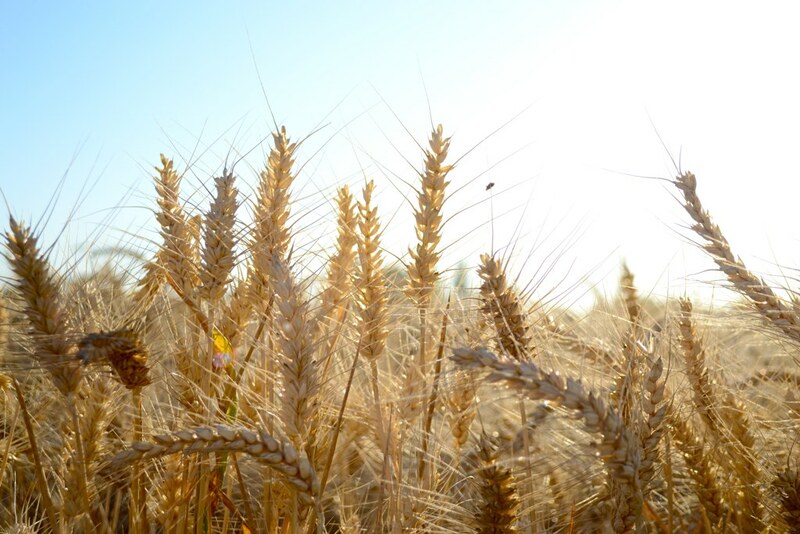 In terms of acreage, wheat is their smallest crop this and most years. The family also owns, maintains, and operates all the equipment used for prepping ground, planting, spraying, and harvesting with only limited help from hired hands. 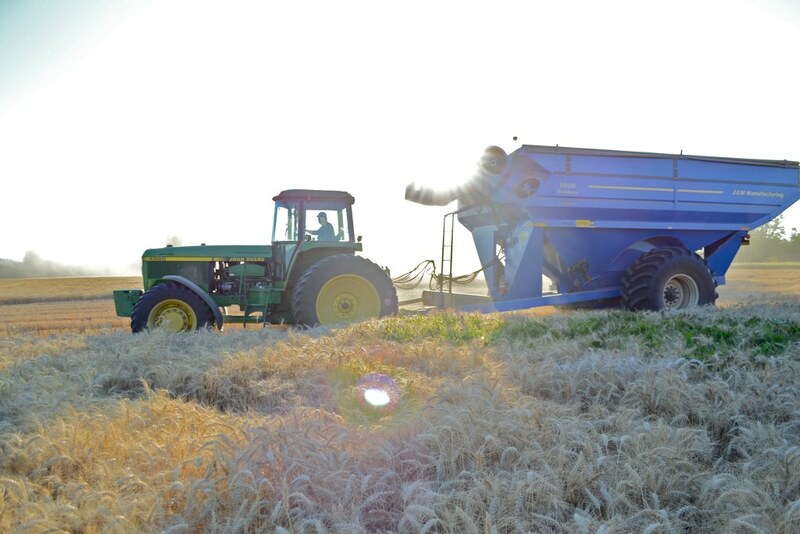 This year’s wheat harvest has been a huge success, yielding up to 130 bushels per acre (1 bushel=60 pounds), breaking existing farm records. 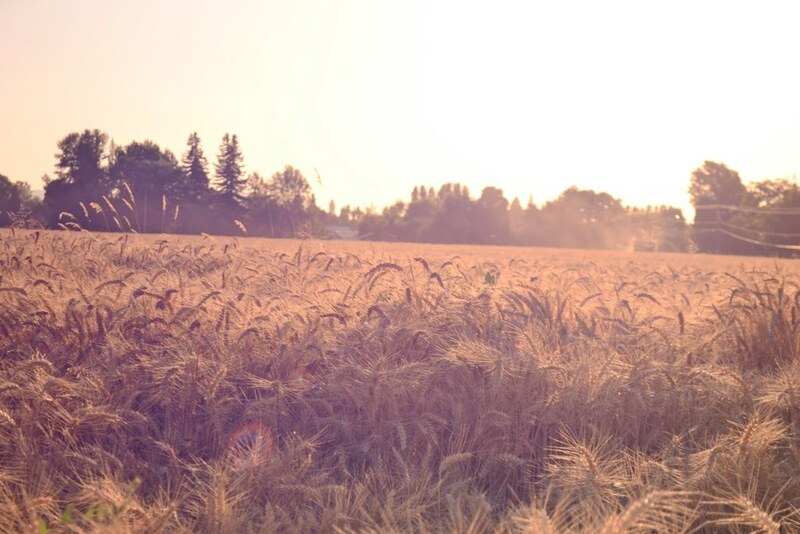 Wheat prices are up in the current market, which is particularly good for Cody because he sells all of the harvest immediately to a local buyer who then distributes it around the country and to Asia. Unlike his other seed crops that need to be cleaned and are often stored for months or years before sale, Cody gets a paycheck from the wheat buyer just three or four days after combining. Cody lives with his wife Nicole and their son Jesse James Younger in a renovated farmhouse on the property. He also raises a few beef cattle as a side gig to seed farming. Nicole, a forester, is taking some time off from her career to manage an adventurous toddler. All of Cody’s seed crops are harvested with combines. Combines, invented in the early 1800s have the ability to reap (cut), thresh (beat), and winnow (blow off the chaff of) grain crops in one pass. The one above is unloading into a trailer pulled by a farm tractor. The tractor will bring the wheat to a warehouse-like facility where it will be loaded into trucks and hauled to the wheat buyer. This tractor pulling a grain trailer is being driven by the farm’s one year round employee, Emiliano. At this point in his career, Cody plays a mostly supervisory role in the harvest. 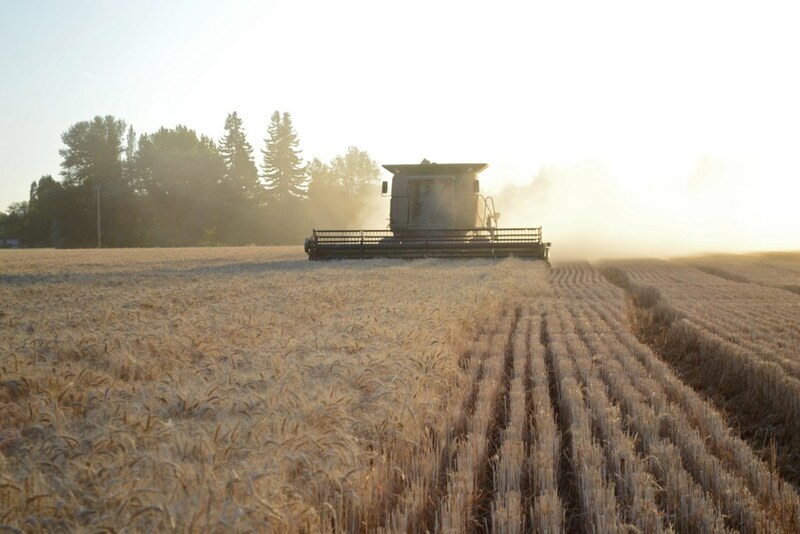 He makes the call about when to begin combining each season and each day based on current moisture content in the grain and the weather forecast. He often will make the first pass around a field in the combine to avoid weedy patches like the one above that contains a fair bit of morning glory, or he’ll combine parts of a plot that need more technical skill to navigate. He also checks trucks in and out and coordinates personell for the day and the future. Most of the trucking is contracted out a year in advance, which can be a in terms of timing and performance, but the Youngers have been fortunate to be partnered with an outfit that shows up when they said they will show up and gets the job done right. I asked Cody how the farm adapts to changes in the commodities market, and the short answer is that it doesn’t. At least not when it comes to planting how much of what. With seven different crops in rotation, the farm managers have a multi-year vision of what they want to plant where in an effort to maximize yields and minimize problems with weeds and disease. If they’ve been planning for three years to plant tall fescue in one field and suddenly fescue prices go down drastically, they will still choose to plant fescue. The difference comes in the selling. The Younger family owns and operates a seed cleaning facility and several storage warehouses, so if prices are down for a specific seed, they’ll just hold it for months or even years until prices come up again. Some seasons are lean money-wise because of this strategy, but they find it better than trying to read complicated and volatile commodity markets and rearrange their program based upon market predictions. 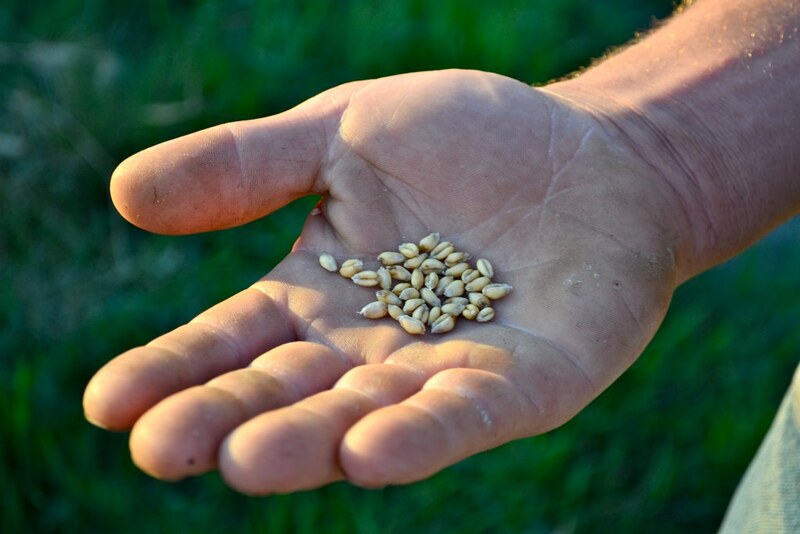 On the flip side, when prices go up and they choose to sell stored seed, they can end up with “a tax problem.” Therefore, seed farming, like most agricultural endeavors, requires a comprehensive knowledge of the land and the market. Being part of any family run business is complicated and can have its pitfalls. In general, though, Cody and his male predecessors collaborate well together. Each of the three men own land and equipment. Cody and his dad work the land daily (except when his dad is off on vacation). Small decisions about when to begin the harvest are made by individuals, but the larger vision for the farm and its future is settled upon collectively. Cody owns the wheat header in the photo above. 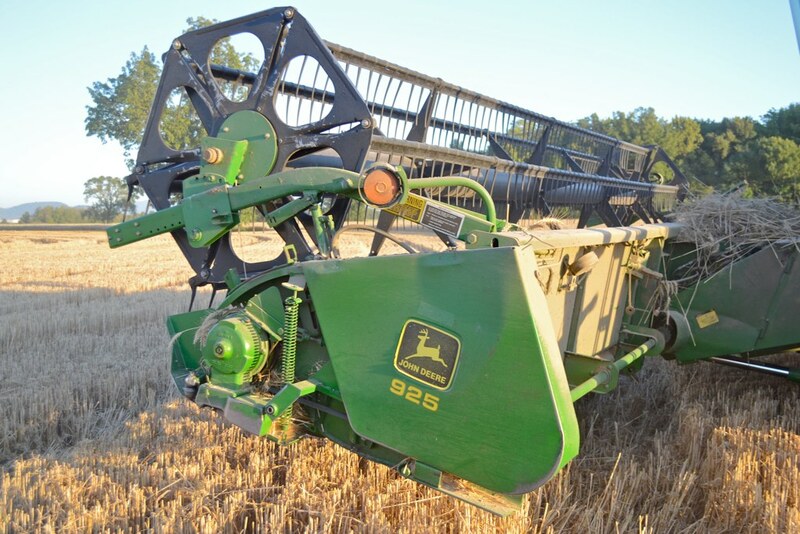 Each seed crop requires a different header to facilitate cutting and maximize threshing. 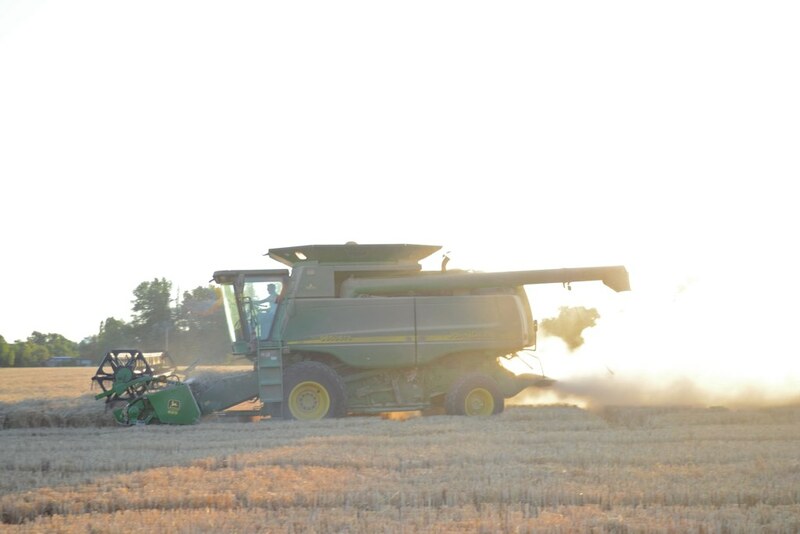 Combining is an extremely dusty job. After the seed is collected inside the combine, the straw and chaff is blown out behind. The straw is sometimes baled up later (mostly for animal bedding not feed because it’s lacking in nutrition) or chopped and spread over the field. Fortunately, modern combines have well sealed cabs to protect drivers from the dust, but grass seed, hay, and grain farmers are known to be particularly prone to lung diseases from the inevitable exposure to air-born particulates. As the sun touched the horizon, Cody called in his driver. They were done for the night. At sundown, moisture conditions change rapidly, and unless there’s rain in the forecast which might necessitate working late into the night, darkness means the end of the workday. 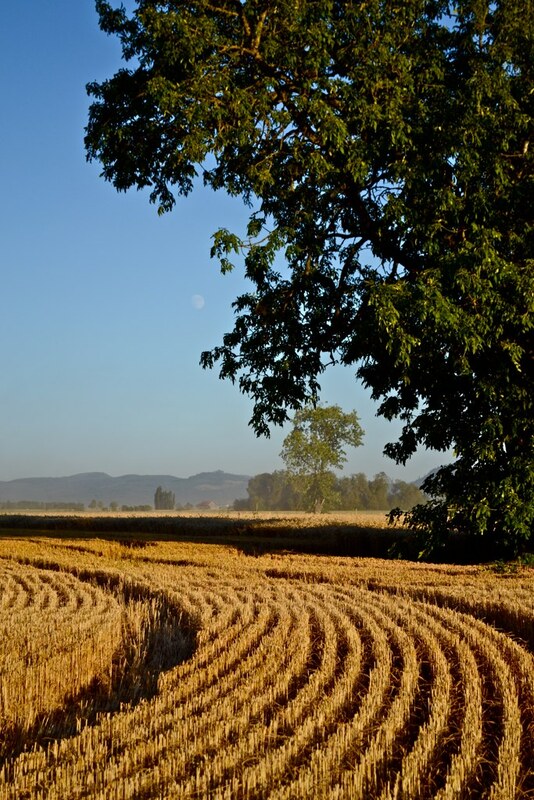 The wheat harvest would not start up again until around 11:00 the next morning after the dew had burned off in the sun. Thanks to Cody and Nicole for hosting us for the evening, and special thanks to Norm for lending me your sunglasses and giving my kids toy tractors. We had a great time! Very interesting and knowledgeable article. And you’re right Camille, that first sunset pic. is great! My family and I are very thankful for the American Farming Families. Keep up the great work and may your harvest season be profitable! Jesse and the cows make my favorite photo! They are all excellent, however. A great article with wonderful pictures! What a beautiful family! 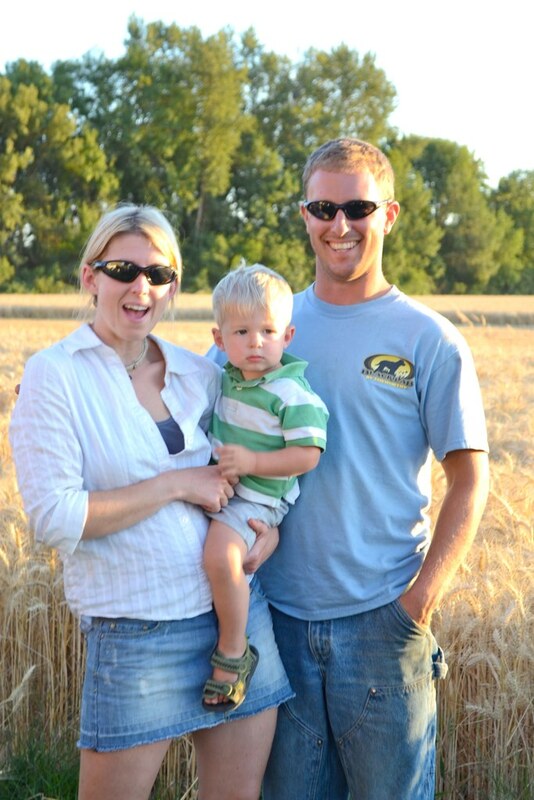 So glad to hear it’s been a successful wheat year for an American farming family! Thanks for sharing!